Donovan's prank has finally gone too far. He sits in the principal's office, worried that his fate might actually be expulsion, and a clerical error sends him to a school for advanced learners instead. Donovan's unimpressive academic performance at his new school is attributed to an environment that doesn't stimulate him appropriately, so his teachers continue to work to motivate him. His classmates continue to be puzzled by him. 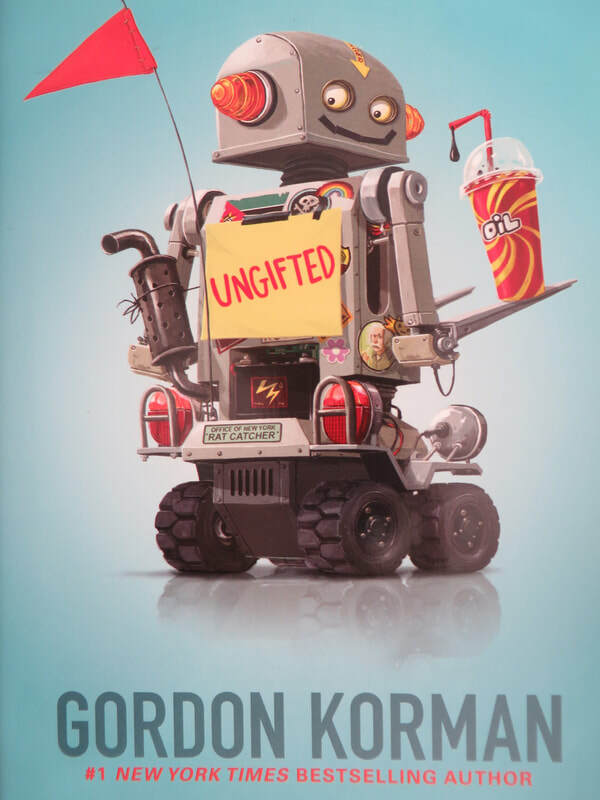 When he joins a robotics competition team, Donovan realizes he may have something genuine to contribute. I have a couple of reservations about this book which stem from my bias as a gifted education specialist. One of the key messages in the book is that everyone has a talent to bring to a task - and I am an ardent supporter of that idea. However, I shudder at the implication that none of the kids at the advanced learning school are shown to have healthy social skills - and this is an unfortunate stereotype. In my experience, there are gifted students who struggle with social relationships, and there are gifted students who excel at personal interactions. The book seems to make fun of people who value gifted education in the first place, and while there are legitimate discussions and issues about that topic, until we can offer more flexibility and appropriate learning experiences for all students in our schools, I think it's an academic need, not a silly indulgence, as this book seems to imply. It's fair to argue that people sometimes take themselves too seriously, and we need Donovans in our world to remind us that a lighter approach is sometimes more effective. This is an entertaining story with a page-turning set of challenges for the protagonist. His predicament of hiding in plain sight is humorous, and as he begins to care and exert some genuine effort in school, Donovan becomes a character you can root for - beyond a Ferris Bueller sort of amusement that's established early on. This book is popular with many independent readers. 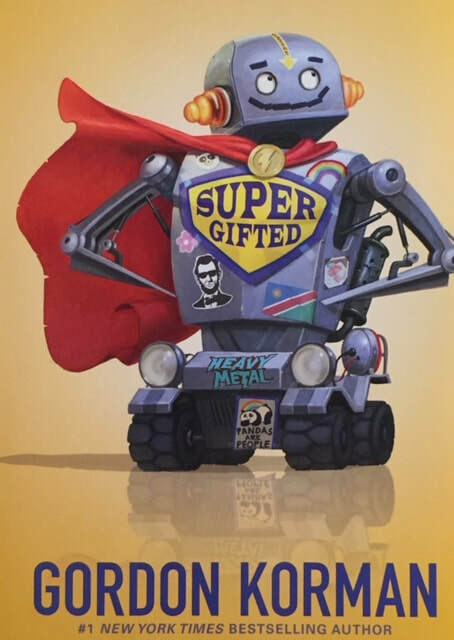 Supergifted features many of the same characters from Ungifted, and the story is told from several different perspectives. We see Donovan again, as well as Noah and Megan, and a little bit from the Daniels and Chloe. In this story, Noah, the super genius, goes to a regular middle school, instead of the academy for advanced learners. Every experience feels new and exciting to him - even, or especially - things he is not good at doing. Donovan tries to protect him, but it all spins impossibly out of control. This is an entertaining story that examines school culture, ethics, friendships, and pressure. It has an interesting take on what popularity means and how it is achieved, and how people define themselves. ""I'm unable to take your call for one of hundreds of thousands of possible reasons predicted by chaos theory. So leave a message at the beep."